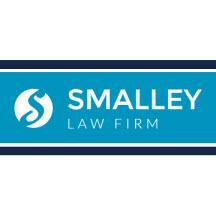 Since opening our doors in 1989, the Smalley Law Firm has built a reputation as one of the finest law firms in Central Oklahoma. By promoting honesty, integrity and a no-nonsense approach, our firm's founder, Richard E. Smalley, III, sets a standard of service carried out by each of our attorneys and professional staff. Unlike other firms that look to take on high volumes of clients or jump at the first opportunity to settle a case, we build meaningful relationships with the individuals and families we represent to better understand their goals and help them achieve successful and sustainable outcomes. No matter the circumstances surrounding your case, we are confident that we can help you reach a resolution. Our attorneys have been recognized by our former clients and our peers in the legal community for their dedication and professionalism. Mr. Smalley has been voted by other attorneys as an "AV Preeminent" Lawyer by Martindale-Hubbell,* named one of the "Top Attorneys in Oklahoma" by Oklahoma Magazine and has received the "Client Distinction Award," as recommended by his former clients. Additionally, each of our attorneys has received numerous individual recognitions, including being voted members of Super Lawyers. To learn more about our firm, our services and how we can help you, contact us and schedule a consultation at our office. We represent clients throughout the Oklahoma City metro and across Central Oklahoma.